This level has medium difficulty. 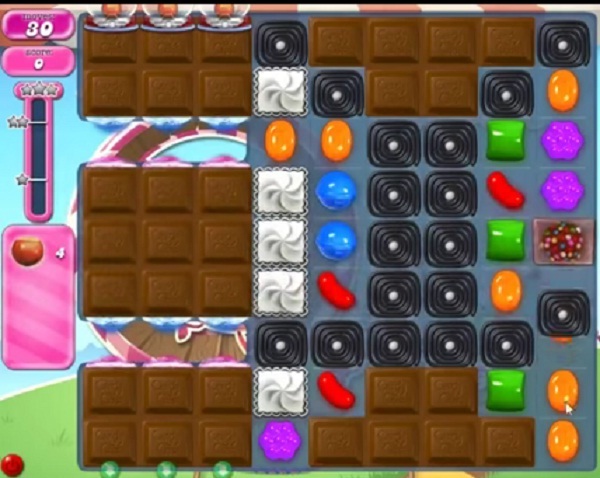 For this level try to play more from left part of the board and make special candy as you get the chance. Combine them with each other or use more striped candy to break more chocolates in corner and to move ingredients. Or watch video from below to get more help. 1763 completed! 1st board! Clear chocolate. Why do I only have 17 times to complete this. I noticed that the practice game you have 30 times to complete? 1763 completed! 1st board! Clear chocolate. Clear blockers in coluums break striped drop ingredients. 1763 completed on third attempt . My board has 17 moves and the demonstration board has 24boards! How fair is that? It’s impossible with 17 moves. Can you fix my board to 24 moves?